The wheel? Meh. The automobile? Big woop. Wifi? Nothing special. Sometimes, I find myself thinking that we have come so far in terms of technological developments that I ponder whether anything useful will ever be invented again. Then something like a 'mobile phone airbag' comes along. Those words just look wrong together. But the product looks so right. It's the development we didn't know we needed, but when you see it, it's so obvious. Cases are great, sure, but they can be clunky and they're not foolproof. The mobile phone airbag is an emergencies only addition that will no doubt save many clumsy folk from smashing their phone screens. The design comprises a subtle protective case with sensors on the outside that spring into action when they detect that the phone is freefalling. 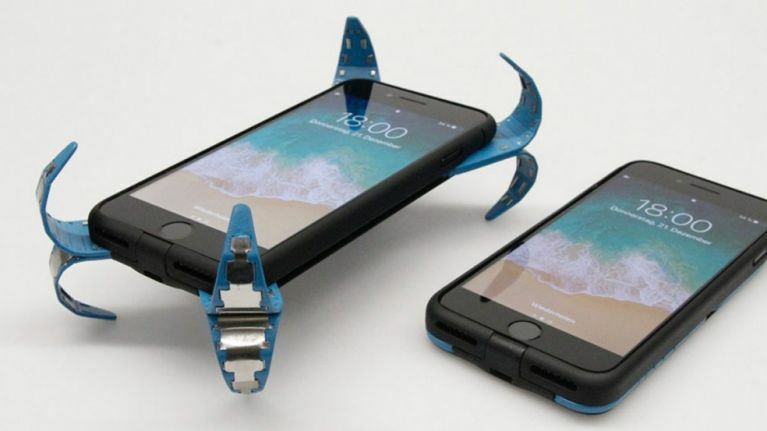 Students designs a “mobile airbag” for your phone when it’s dropped. Once you've retrieved the phone, you simply pop them back in and continue going about with your day.